Well, have you heard? 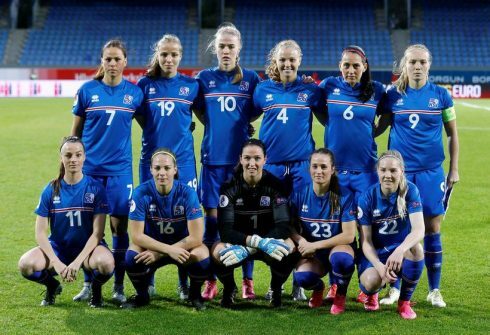 Iceland has become the first country to make it illegal to have a gender pay gap. Previously they had announced that they intended to eradicate it by 2022. And they are not just talking it up. They are actually doing something. I have long argued that only legislation will force the UK to achieve gender equality. Too many people in power here feel they have too much to lose if they ‘shifty up’ to allow the women equal access to power. Fine words butter no parsnips. Hooray for Iceland! The new law came into effect on January 1st 2018. As the law is being enforced, both government offices and private business, employing more than 25 staff, will have to obtain a special government certification on the equal pay policies. If they don’t, they will get fined. And presumably lots of very negative publicity. Her legacy continues with nearly half of Iceland’s parliamentarians being female, an enviable position. Good news. Where Iceland leads, I hope we follow. Check out our Spring Seminars, exclusively for women.